A very enjoyable contest with some visits from Murphy. 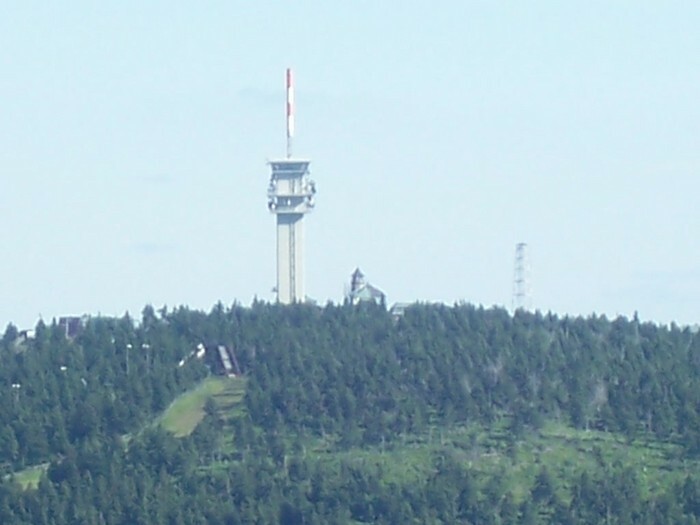 The weather on Saturday was perfect for building antennas: clear sky, no wind. Maybe it was even too good, because some OPs got a slight sunburn already. All antennas were up before the contest started (rarely the case here ;-) but we soon noticed that 13cm was deaf and the rotator control didn't work. After several attempts to fix the rotator on the tower (monkey skills required), we decided to take down the 13/9cm tower and fix the problems on the ground (see pictures). We also lost some time because the 23cm PA apparently got too hot in the blazing sun which made it neccessary to let it cool down sometimes. 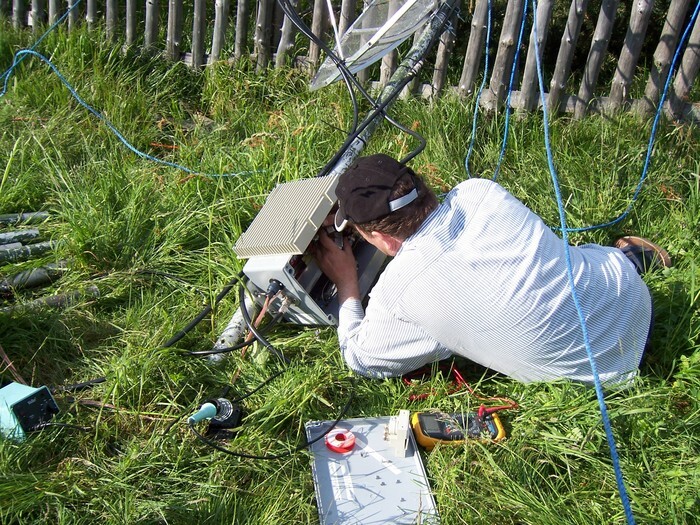 After a bad start, things finally turned for the better after we fixed the 13cm transverter and rotator in the evening, and all bands were QRV. The night was very mild, but in the morning hours a strong storm came up which hevily shook our antennas. 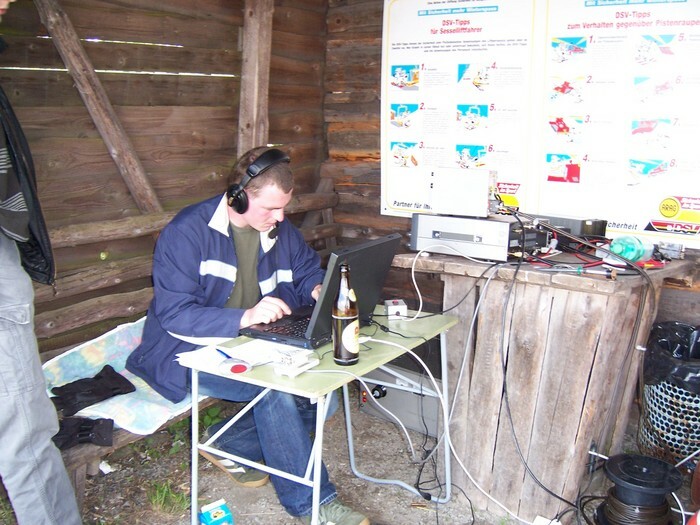 Condx were good, a lot of nice DX worked, and new alltime DL0TUD/DM7A-records were made on 23cm (181 QSOs, 49.5k) and 6cm (7.5k). We recorded most of the contest on 23cm, some MP3s of our best DX QSOs are available further down the page. Additional to the normal team, Chris DK2YCT, Mario DL2UX and Volker DL6DVU were among the operators this time, mainly helping us to keep 2m going which is usually the first victim of our operator shortage. 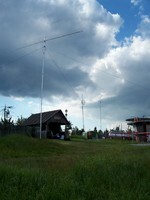 We recorded most of the contest on 23cm. 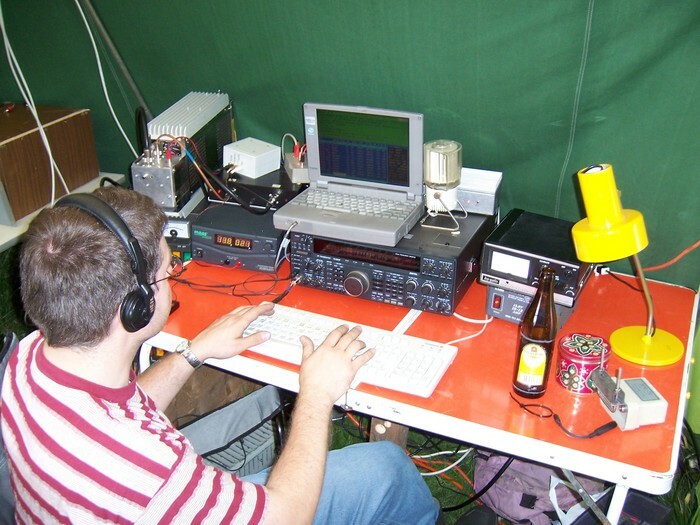 Below you find some snippets from the best DX QSOs. 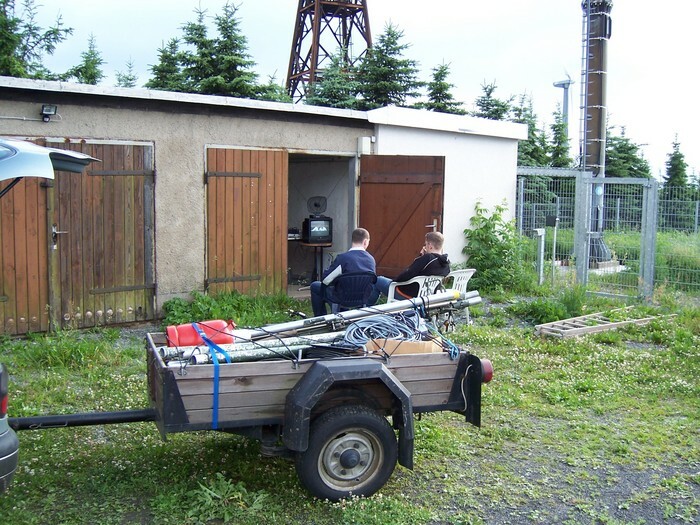 If we had a QSO and you'd like to hear how you sounded at DM7A, drop me a line (dj1yfk at darc.de) and I will cut the QSO from the ~1GB mp3-file. 2m yagi in front, microwaves and 70cm in the background (13/9m down at that moment). Tilo, DH1FM on 70cm Don't ask.